Getting married in a castle is a bit a dream for everyone, especially for the most romantic ones. In Italy there are many castles to realize this dream and to live your wedding day in a magical place where time stands still. To best advise and organize your wedding in a castle, iCastelli.net, specialized in castles since over 10 years, has created an exclusive website specifically dedicated to the choice of a castle where to celebrate your wedding or to organize your special event. 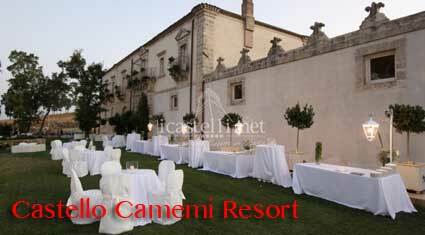 Within the site weddings.icastelli.net you will find a selection of the most fascinating and exclusive castles where to realize your dream: 'getting married in a castle'. Our collection includes the most fascinating castles in Europe, so that you will have the choice of planning your wedding in a castle in England, Scotland, Ireland or France! iCastelli.net is the wedding expert who will make the most important day of your life unique and unforgettable !